Hidden between Garden of the Gods and America’s most famous mountain, Pikes Peak, lies the magical town of Manitou Springs, just minutes from Colorado Springs. "Manitou," a Native American word for " great spirit," describes this beautiful mountain community. 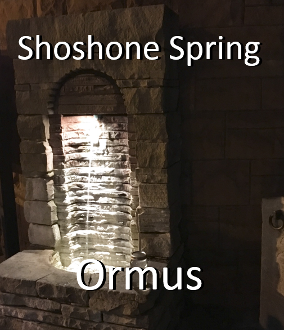 Eight naturally carbonated mineral spring fountains, located throughout this historic town, run free for all who wish to enjoy their healing benefits. The Ute, Cheyenne and other Native Americans considered this area sacred for its healing springs and clean mountain air. The naturally occurring mineral springs have a rich history of giving and restoring health to people who traveled thousands of miles to be healed by the magical waters. Today, health and wellness continues to be a draw for residents and visitors who come to the area for its unparalleled quality of life and holistic, spiritually uplifting personality. 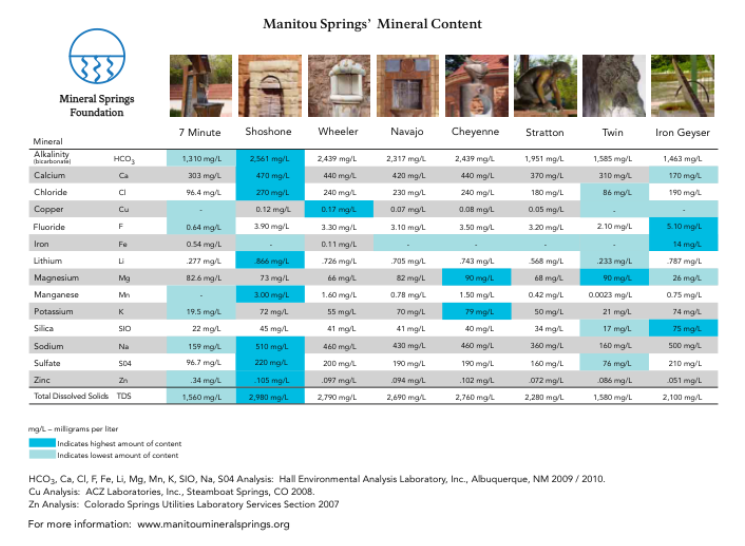 Mineral water from Shoshone Spring may contain the greatest amount of deep-seated water rising from the aquifer system. It has some of the highest amounts of mineral content, and it’s the warmest with a temperature just over 70 degrees Fahrenheit. The chalk-white deposit left by the mineral water on its font is travertine, derived from dissolved limestone and dolomite layered in the underground karst aquifer. Historically, at least three different structures are associated with this natural, artesian mineral spring. The first, made from locally-sourced, pine-tree logs, provided early shade from the high-altitude sunshine and shelter from a gentle rain. The second was an open-air, formal gathering place constructed from stone and lumber with a hip-roof design and overhanging eaves. The third, still standing today, was built during the 1890s using red-orange Lyons sandstone sourced from nearby Kenmuir Quarry, now Red Rock Canyon Open Space. I took this water from the spring and made it into an Ormus concentrate via the Egyptian method with Dead Sea Salt and Washing Soda. After 3 washes its now ready to consume. Locally collected Ormus minerals made with Dead Sea Salt and harmonically structured dew water.